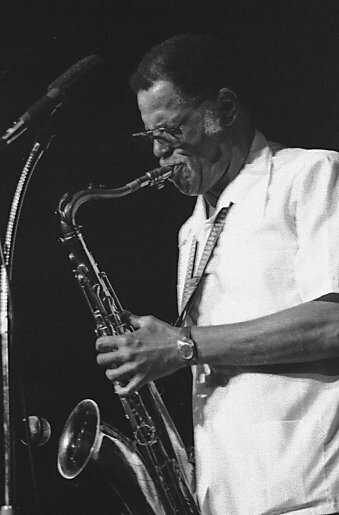 Dexter Gordon (February 27, 1923 – April 25, 1990) was an American jazz tenor saxophonist. He was among the earliest tenor players to adapt the bebop musical language of people such as Charlie Parker, Dizzy Gillespie, and Bud Powell to the instrument. Gordon's height was 6 feet 6 inches (198 cm), so he was also known as "Long Tall Dexter" and "Sophisticated Giant". His studio and live performance career spanned over 40 years. Gordon's sound was commonly characterized as being "large" and spacious and he had a tendency to play behind the beat. He was famous for humorously inserting musical quotes into his solos.